Less than two days after Cracker Barrel announced plans to withdraw selected Duck Dynasty items from its shelves in the wake of Phil Robertson’s anti-gay comments, the Southern country store and restaurant chain has reversed its decision. Cracker Barrel’s reversal of its former position was posted this morning to Facebook, following a flurry of negative responses from customers and fans who showed support to Phil Robertson and Duck Dynasty family. “When we made the decision to remove and evaluate certain Duck Dynasty items, we offended many of our loyal customers. Our intent was to avoid offending, but that’s just what we’ve done,” Cracker Barrel wrote. “People weren’t shy. They wrote, called and took to social media,” Cracker Barrel’s spokesman Jeff Eller told ABC News about the company’s decision to go back on its original pledge to ax “selected products” from its stores. The restaurant was the first major retailer to announce its stance on the Duck Dynasty scandal since Phil Robertson’s remarks went public. The announcement on Sunday confirmed the company will be reinstating all Duck Dynasty products back into its stores. 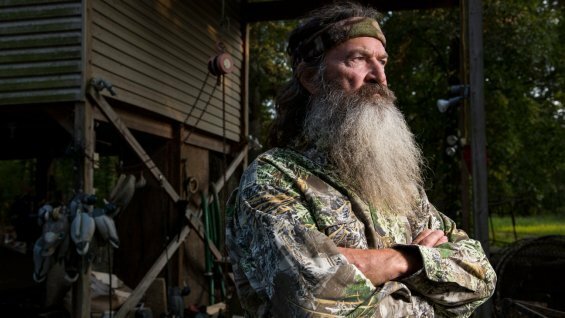 Phil Robertson has been put on hiatus by A&E Network after he made anti-gay comments in an interview with GQ magazine. Phil Robertson’s comments received mixed reactions from the show’s millions of fans, with politicians and gay rights groups also weighing in on the issue. Hours after the interview went public and Phil Robertson was suspended, a Facebook page popped up encouraging fans to boycott the network until the family patriarch returned. The page now has over 1.7 million likes. Phil Robertson’s suspension has also prompted an outcry from conservative Republican politicians, including Former Alaska Governor Sarah Palin, Senator Ted Cruz of Texas and Louisiana governor Bobby Jindal.